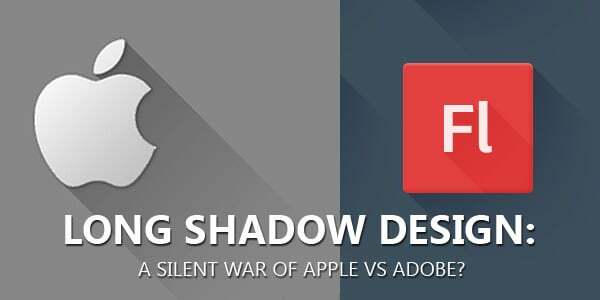 Long Shadow Design: A Silent War of Apple vs Adobe? Long shadow design is a quite hot topic to talk about lately. Web design blogs, forums and design communities do their best to know more and learn more about the hot new trend. It’s trendy and every decent designer and blogger is bound in honor to say a word about it. And so do I 🙂 And boy do I have something to say! What Is Long Shadow Design? Jeff Escalante is considered to be the first who noticed this trend and wrote about it. Long shadow design rises from the Apple iOS 7. It is used in flat designs. Long shadow design works well for UI elements, icons and mobile apps designs. The shades are mirrored at a 45 degree angle (however 120 degree angle can also be used). The shade is 2 – 3 times longer than the object. Shadows can lie within frames and elements or outside objects. One design can have only one type of shades (angle, opacity, depth does matter). There are not very many concepts to follow to create a canonical long shadow design. Clean lines of the design will probably make it super trendy in the short run. However there is one thing that makes everyone stop and think about the reasons this kind of design has appeared right now. Apple Killed Flash. Who’s Next? Recently iOS 7 Beta version has been released by Apple. The official release is expected to arrive this fall. A lot of Apple users have already tested the new mobile OS and it seems that something went wrong on this stage. Some argue that it’s too similar to Android, some say it resembles Windows Mobile OS elements, but most of the experts and users agree on one thing – iOS7 needs quick fixes, and it needs them badly. They say iOS 7 has nothing extra original and new. In fact there are some ‘improvements’ that make developers (and common users) hate this new version. If the beta version format will be approved, the developers will be forced to make major changes to their apps to make them look good with the new OS version. However from the early beginning Apple has never been too much opinion-oriented. This company used to change standards of entire industries and has proved to us that they knew what they were doing. And now it’s natural that they don’t want the opinion of the majority to have an impact on their new iOS version, neither do they want to admit they were wrong. It’s much better to spin a new trend in icons’ web design and do get people to appreciate it eventually – they have all the power they need for that. The more buzz is generated the more people like a new product (now or then). Once Steve Jobs has said that Flash content will never be supported by Apple products and Adobe was forced to sideline Flash from online market. This revolution was made by one person who was considered to be a guru of IT sphere. Even those people who don’t like him remember him with honor. But now Steve Jobs is gone. What will Apple do to hold their positions on the market? Now it seems that they try to make another revolution. You may call me a conspiracy theorist, but I believe that this time nothing other but the great and powerful Adobe Photoshop is in focus! What Does Long Shadow Design Have to Do with It? Let’s return to the long shadow design, and I will explain my point of view. Previously objects’ shades were made quite easily in Photoshop. Gradient, shading and fading effects and filters of the popular image editor helped web designers a lot. Now the long shadow design requires all shapes to be illustrated manually. 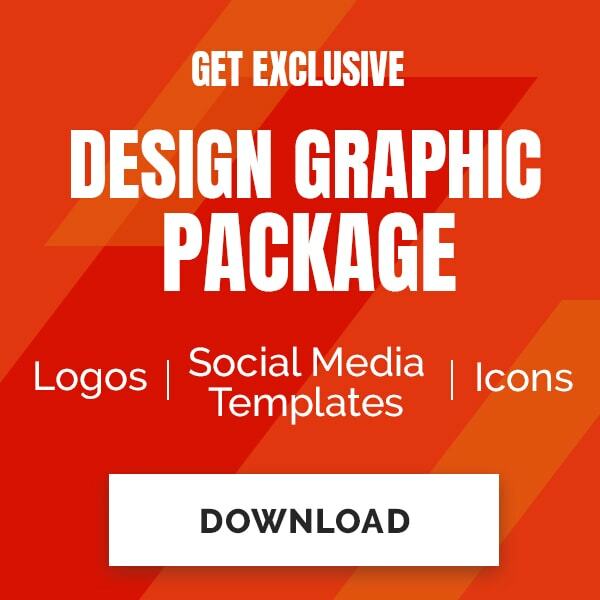 A lot of professionals are not very much happy over this fact because creating of these minimalist design elements can take people forever to design. More likely this new trend won’t impact Photoshop positions on the market all that much. But it does look like a first alarm signal to be aware of the possible upcoming events. Consider this a first step in the journey. At the end I’d like to say that that nobody knows for sure what to expect from Apple (perhaps even Apple doesn’t). Adobe or any other IT giants are also quite hard to predict. This long shadow design trend can be just a new UI trend and all the discussions are nothing but rumors. We don’t know it and only time will tell. Does this subject sound like something that you’re interested in? Do you have any insider information about long shadow design? Do you have your own conspiracy theory about this whole thing? We’re dying to know what’s going on in the world of web design. Tell us some facts or your thoughts – any kind of feedback will be greatly appreciated.